Every time I scoff at something as a Conspiracy Theory, somebody comes along trying to prove me wrong. Is that a legit quote from Goldman-Sachs? Same thing as hiring a government beauracrat to fix a problem! Goldman Sachs Asks in Biotech Research Report: "Is Curing Patients a Sustainable Business Model?" Goldman Sachs analysts attempted to address a touchy subject for biotech companies, especially those involved in the pioneering "gene therapy" treatment: cures could be bad for business in the long run. "The potential to deliver 'one shot cures' is one of the most attractive aspects of gene therapy, genetically-engineered cell therapy and gene editing. However, such treatments offer a very different outlook with regard to recurring revenue versus chronic therapies," analyst Salveen Richter wrote in the note to clients Tuesday. "While this proposition carries tremendous value for patients and society, it could represent a challenge for genome medicine developers looking for sustained cash flow." Gardasil saw an impressive 38% sales growth for the nine months period ending September 2018, and we forecast the drug to garner over $3 billion in sales by the end of 2018. Gardasil is a vaccine used for prevention against HPV (human papillomavirus) virus, which has been linked to certain types of cancers, which makes it an important vaccine. So ask yourselves. This cure for HPV could cost Merck $billions. Merck gonna let that happen? Not if they can prevent it. That's why we are supposed to have a competitive market. Please note that I did not say we do have one. This is an issue that has some significance to me. I plan on keeping track of it. I would think a "cure" medicine could be profitable, 131.4 million new people every year combined with the correct pricing. Big pharma is used to big profits. As stated in the material above, the more people you cure the less people there will be too cure. Especially when it comes to infectious diseases. They have a cure for Hepatitis C. I had Hepatitis C and they cured me. Now I can't spread it to other people. Not that I would. Any time I got a cut at work (cabinet shop) that needed bandaging, I would refuse any offers of help. But I'm sure there's no possibility of Merck lying about their MMR vaccine efficacy. You know, the MMR vaccine that if they can stay above 95% efficacy they get to keep their sole US manufacturing license granted them by the US gov't. I doubt there's any money in supplying the only MMR vaccine for the entire country. Why would Merck lie when they can bribe other people to do it for them? From what I have read there's an on-going investigation, because of a Merck scientist turned whistleblower, that they were having a hard time keeping the MMR efficacy rate above 95%. 95% was required by the US gov't. for Merck to keep their sole manufacturing license. One or two of the articles I read talked about the science behind why the efficacy rate was dropping, but I have forgotten those details. This information started coming out after some large Mumps outbreaks in highly vaccinated populations of school kids. So I guess when that kind of thing starts happening that the bribees are less likely to take money from the bribers for fear of getting caught. 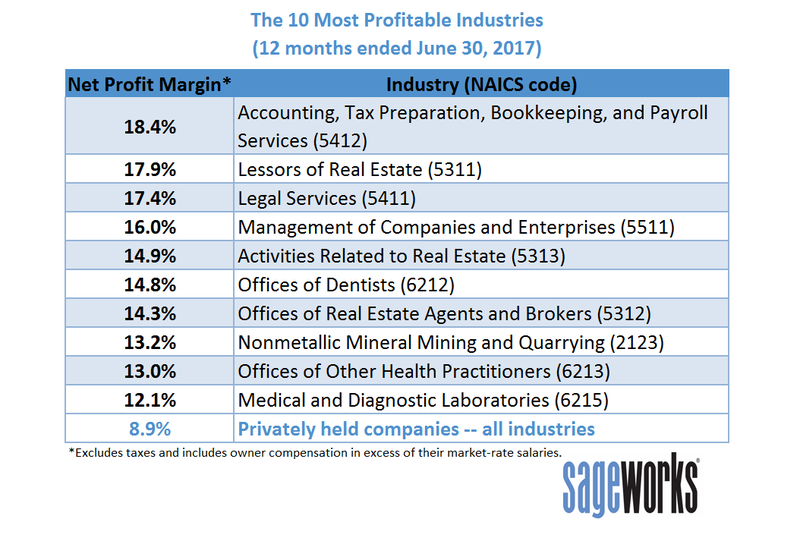 Not sure what your definition of "big profits" is , but drug companies average a little over 10% net profit margins. Pretty good (average for all industries is 8%) but way behind railroads (highest at 50%), banks (21%-29%), cable TV (25%), Restaurants (12%), Computers (12%), etc,, etc. As so many people are taking Rx's (100's of millions) then the 10% margin yield converts to a lot of $$, but they aren't "gouging" by any means. BTW: health insurance companies average about 5% and hospitals less than 1%. Pharma companies have a lot of capital outlay on the way to an approved drug. Then they have to market it, run teevee ads which spend more time laying out adverse effects than telling you the good ones, sending doctors to conferences in Hawaii, etc. But most of what they market are remedies, not cures. It's one thing to shell out big bucks for something that will cure you, another to shell out for just a little temporary relief. Antibiotics "cure" you of your current infection. And we have have "cured" polio, chicken pox, diphtheria, malaria, measles (mostly...some coming from Mexico), pertussis, tetanus, typhoid fever, yellow fever, smallpox, rabies, whooping cough, etc., etc.. Modern medicine & drugs have saved millions of lives...I am just not ready to jump on the "they are intentionally withholding research into cures" conspiracy train just yet. I didn't get on the "100 mpg carburetor withheld by big oil" train either, or the "Qanon" train recently. Heart disease and stroke (top killers) have unique (non-bacteria or virus) risk factors (diet, etc.) that are not easily "cured". Average lifespan increasing from 47 years to 76 years from 1900 to 1998 speaks well of modern medicine, drugs and sanitation. Antibiotics are losing efficacy, unfortunately, but still beat back numerous infections and cure them. Sanitation (hygiene), better diet, better preventative medicine, including earlier diagnoses (primarily technology driven), and vaccines. We didn't cure polio, for instance, we prevented people from getting it and the virus pretty much died out for lack of viable hosts.) People who got polio still had a rough run and suffered debilitation from it. Our abilities to prevent disease, address chronic conditions earlier through better detection methods, and treat cancer, for instance, again because of better detection and a better informed patient base, have improved. But while we have life prolonging treatments, while we can prevent some diseases, and reduce risk factors for others, we still can't cure these once people get them. If you could address (and cure) the root cause of high blood pressure, or excessive clotting (DVT/PE) rather than give drugs which remedied the problem, then we would have cured it. If, with a single treatment we could cause tumors to shrink and disappear, we'd have cured them. We hack them out, irradiate and fill the patient with chemicals, but we don't cure it yet. We have a long way to go curing (not preventing, but curing) viral illnesses, and have barely scratched the surface when it comes to mycoplasm caused disorders. In the meantime, we're treading water with the bacteria, just keeping ahead of their adaptations to antibiotic therapy. The longer they live, the more chances you have at curing another disease they catch. I find myself somewhat on the middle ground on this issue. I wonder what would happen to drug prices IF we could get the damned government out of the marketplace to the extent that is possible and created a tax code that did not tax on the input end. Page created in 1.197 seconds with 22 queries.